Obituaries celebrate the life of the person who has passed away, but they also provide a great deal of information, including names and locations of the deceased and their loved ones. Once a thief has a name and basic information, a quick Google search can turn up solid details about place of residence or businesses owned. 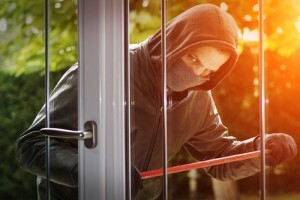 Determined burglars will watch a home or other location and lie in wait for the moment when a family leaves town for a funeral or is away for a few hours to spend time at a funeral parlor. If they realize that the deceased lived alone and his or her home is now vacant, that is an open invitation to see what’s available inside. Whether you have a modest home or an estate, perimeter security by a uniformed, armed security guard is a powerful deterrent to would-be thieves. Some funeral homes have Korner Security guards on the premises. Emotions run high when a loved one has died, and though the mood is somber, it is not unusual for a fight to break out, verbal or physical. Funerals bring families together, though not always in a good way. If someone’s life ended in a tragic way or unexpectedly, if the patriarch of a divided family has passed away, if an estranged relative has appeared after years with no contact, the past may come alive, and grudges, betrayals, lies, love, and grief can create situations fraught with emotion and bad decisions. Security guards are often on hand to keep the peace at this bleak time, both indoors and out, during events or after hours. Their presence also helps deter criminals who are on the lookout for grieving and distracted people who forget to lock their cars, leave phones or valuables behind, or who pose as a mourner to steal contributions or mementos from a casket. The death of a loved one is difficult enough without enduring a break-in, theft, or other crime. Protect yourself and your family from this kind of breach by hiring a Korner Security guard or guards to stand watch. Contact Korner Security to discuss your family’s or funeral home’s security needs and develop a risk assessment that identifies potential safety risks. We provide personalized security solutions to suit your unique situation. Contact our experts to discuss your security needs.